Pratt Recycling works with businesses and communities across the U.S. to help divert over 2 million tons of materials from landfill every year. It has 16 modern Material Recovery Facilities and an operational footprint from New York to California. Pratt’s recycling subsidiary, Pratt Recycling, Inc., works with communities and businesses across America to maximize landfill diversion by Harvesting the Urban Forest. The rapidly-expanding division has recycling and recovery facilities in eight states – and our operational footprint stretches from New York to California. Pratt Recycling is a subsidiary of Pratt Industries, the 5th largest corrugated packaging company in the USA and the world’s largest, privately-held 100% recycled paper and packaging company. Pratt Recycling Division is a full service recycler with 16 recycling facilities. Pratt utilizes the paper products collected in the production of its 100% recycled content paper and packaging solutions. Our mission is to create sustainable recycling solutions for our customers that maximize waste diversion, create cost savings and revenue stream for valuable recyclables previously landfilled, all the while minimizing the environmental impact by preserving natural resources for future generations. Every year Pratt diverts 2.2 million tons of waste paper, other recyclable materials and waste-to-clean energy materials from the landfill. Some items that cannot be recycled are used as fuel for Pratt’s clean energy plant which powers the paper-making process. We close the loop! Pratt Industries recycles a wide range of materials which are collected in our Residential, Community, School and Commercial and Industrial recycling programs. The paper and corrugated products collected from these recycling programs are used as raw materials for our three paper mills — and returned in the form of sustainable, 100% recycled content packaging for your community. We accept a variety of recyclable materials including all types of paper, newspapers, magazines, catalogs, office paper, books, corrugated cardboard and mail. 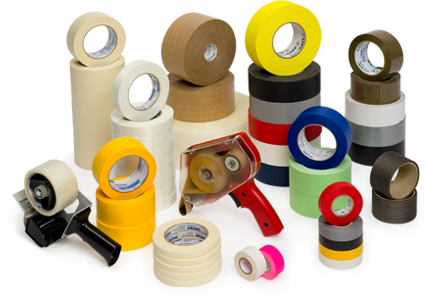 Additionally, we accept LDPE film, PET and steel banding, pallets, plastic containers (# 1-7 as well as other types of plastics), aluminum cans, and steel cans. Our vision for your business is simple: ZERO WASTE! At Pratt Industries Recycling, we know that recycling is the gateway to sustainability. We never take a “one size fits all” approach to your recycling needs. We create unique solutions for each business we serve. Our team of specialists will visit your facility and conduct a waste assessment to determine the right solution for your business. Pratt will assist your company in developing and implementing a plan that will make recycling easy while promoting growth in employee participation. Whether your goal is simply to recycle your corrugated cardboard or a more ambitious initiative to move toward zero-waste, we have a solution for you. Every year Pratt Industries diverts 1.8 million tons of waste paper, other recyclable materials and waste-to-clean energy materials from the landfill. For many items that cannot be recycled, Pratt uses these as fuel for its Clean Energy plant in Conyers, Ga., producing the energy needed to operate its 100% recycled mill. Pratt Recycling offers mixed paper recycling programs that provides an easy-to-follow solution for your paper recycling needs. Your company can recycle all types of paper with no sorting necessary. 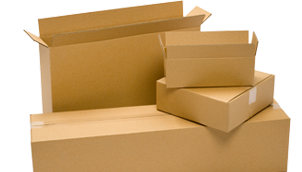 We accept newspapers, magazines, office paper (white or colored), junk mail, catalogs, books and corrugated cardboard. For our larger producers of paper and corrugated cardboard, Pratt offers customized recycling programs to suit your needs, such as dropped trailers, flat-bed trailer services and equipment, including balers, shredders, choppers and a myriad of other recycling equipment. The end-result: maximum landfill diversion. Convenience and ease of participation makes commercial single-stream recycling an effective solution for the recycling needs of businesses. Whether you are a property manager at a high-rise office building or a facilities manager at a corporate complex, single stream provides a cost effective approach to managing your waste stream. 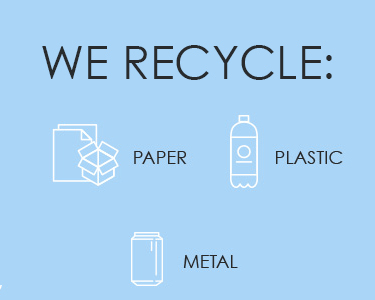 Single stream recycling programs combine all types of paper, cardboard, plastic containers, metal containers, shrink-film, strapping (plastic and metal) as well as an array of other materials into one single collection container with no sorting necessary. Pratt Recycling offers a unique closed-loop program for our box customers. Close the loop recycling brings a sustainable approach to your waste stream management. 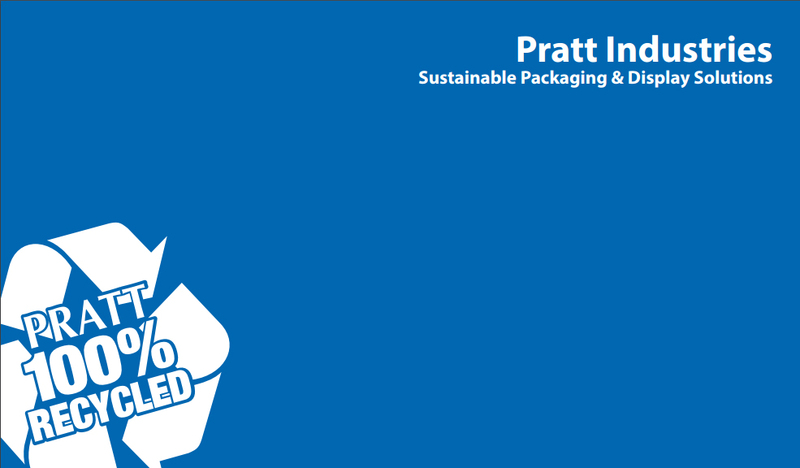 Customers purchase the 100% recycled content packaging solutions from Pratt Industries while recycling their waste paper and corrugated with the Recycling Division. 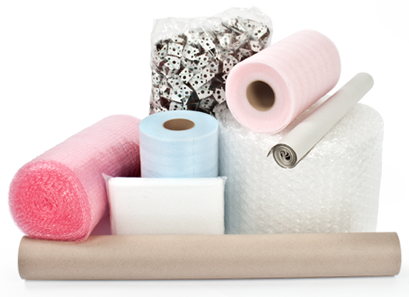 These recyclable materials are then used as the raw materials for producing more recycled content packaging. Our customers know and understand the upstream sources of the packaging and the downstream destinations for their waste stream. Our close the loop recycling programs are not only cost effective, but also can bring the social and public recognition for doing the right thing for our environment. At Pratt Industries Recycling, our specialists understand the steps necessary to develop a program that cost effectively manages your waste stream while creating maximum landfill diversion. We take the time to learn about your business, from the number of employees to the products you produce or services you provide. The Recycling Division knows that creating a successful program requires a solution that fits your business model and fulfills the goals of your company. Your Pratt Recycling specialist will share our best practices to ensure the on-going success and sustainability of your overall recycling waste reduction. Stakeholder Meeting – Establishes milestones, goals and stakeholder consensus. Waste Assessment – Ascertains materials to be recycled and diverted, accesses current service levels and space for equipment recommendations, project savings or revenue opportunities. 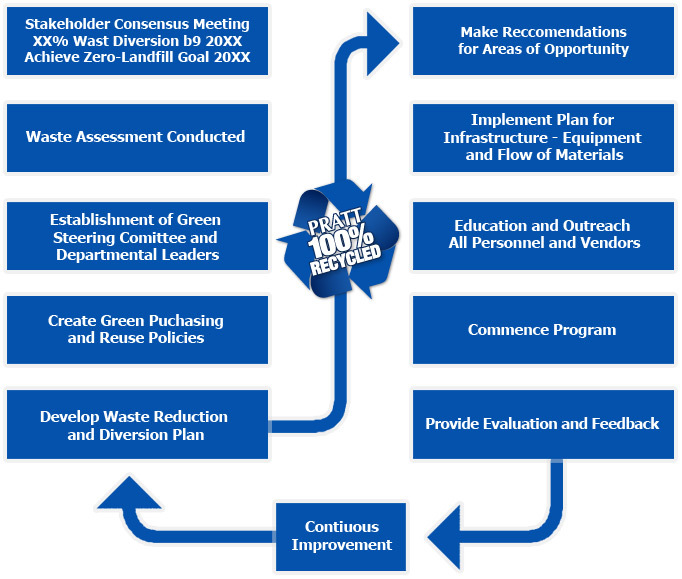 Green Steering Committee – Establishes a committee of key personnel for implementation of the recycling plan. Green Purchasing – Examines your incoming purchases and materials for recyclability and reusability. This eliminates waste before it begins. Areas of Opportunity – Identifies and reviews areas of opportunity to divert waste and recycle materials. Plan Implementation – Creates a plan for infrastructure and the equipment needed for the flow of materials from point of origin to final destination. Education and Outreach – Partners with the Steering Committee for participant education to create a complete understanding of the recycling program and established goals. Evaluation and Feedback – Tracks results against milestones and goals while providing feedback to participants on the benefits of their efforts. Following these best practices will ensure a recycling and waste stream management program that will maximize waste diversion, create cost savings and maximize recycling revenues, while strengthening your position as a vital environmental corporate citizen. Pratt Recycling has created School Recycling Programs that fit the needs of today’s school districts. We understand within all school districts that waste disposal is a major expenditure. Pratt Recycling’s school programs allow schools to lessen waste disposal costs and reduce impacts on local landfills, while leading the community as environmental stewards. Our paper program lets schools recycle nearly 75% of their waste stream with minimal effort. We accept all clean paper with no sorting necessary: Newspapers, magazines, catalogs, school papers, office papers, phone books and junk mail…it’s that simple. Pratt Industries’ single stream program is our most comprehensive solution for the needs of our school districts. Designed to mirror our residential recycling programs, students create strong green habits through the consistency of school and home recycling. We accept all types of paper, newspapers, magazines, catalogs, school papers, office papers, phone books, junk mail and flattened corrugated cardboard. In our single stream program, schools can add clean empty plastic containers, aluminum and steel cans. There is no need to sort. Simply collect all your recyclables and place them in your Pratt Industries’ Recycling containers. Pratt Industries Recycling Division is making it easy to go green at your organization while raising money for projects of your choosing. Our Community recycling program fosters environmental stewardship, can reduce your waste hauling costs and will show your commitment to your community’s recycling efforts. Pratt’s community recycling program is available to non-profit organizations, schools and places of worship. Our program rewards organizations for recycling their own paper while inviting their supporters and the community to contribute their paper. We accept all clean paper in our community recycling program, including newspapers, magazines, catalogs, office papers, school papers, phone books and junk mail. Place your Pratt Recycling container in a visible and accessible area. Location will make a big difference in the amount of paper you collect. Educate everyone within your organization. Encourage them to bring their paper from home and work. Reach out to the community and ask for their support; let them know your goals for the funds you raise. Let your supporters know the results of their efforts – both to your organization and the environment . Pratt’s Community Program is a win-win for both our participating organizations and the environment. Start your recycling program today and begin earning funds for your organization. Your residential recycling efforts do make a difference. Recycling conserves natural resources, reduces energy consumption, contributes to the economy through the creation of green collar jobs, saves money through waste diversion, produces fewer air emissions and prolongs the life of landfills. At Pratt Recycling, we understand that recycling makes a difference, not only to our environment, but to the communities where we live and work. We recognize that each community’s needs and goals are unique, so we offer Residential Recycling solutions designed to support the waste-stream management initiatives of your community. Offers a simple solution for recycling all paper products produced by your residents. Since nearly 70% of the recyclable materials produced within the community are paper and corrugated cardboard products, recycling these can create a significant impact. Offers a solution that increases recovery of your recyclables by adding a separate container with a combined recycling stream of plastic containers, aluminum and steel cans to be collected alongside your container filled with clean paper products. Offers a comprehensive recycling solution for communities wanting to maximize their recycling participation. Single-stream recycling allows for the ease and convenience of combining all recyclables such as paper, cardboard, plastic containers, aluminum and steel cans into one “single” collection stream with no sorting needed. Offers a perfect solution to communities wanting to offer recycling for residents who wish to gather their own recyclables or those who live outside current service areas. The number of drop-off sites and the types of commodities recovered are flexible, depending on the municipality’s choices and local commodity markets. No matter which recycling solution suits your community’s needs, Pratt Recycling is committed to partnering with you to enrich educational outreach, deepen community involvement and promote continued growth in residential recycling participation. Our approach engages the entire community: Citizens, local businesses, schools and civic organizations, creating strong green habits, and fostering environmental stewardship. Choosing the right equipment for your business is key to the success of your recycling program. Our Recycling Specialists are experts in recommending recycling equipment that are the right solutions for your business. We base our recommendations on the types and volume of materials produced with an understanding of the space available. Our equipment expertise can contribute to your overall efficiency which will impact your labor costs. We understand that an efficient, cost effective program will contribute to your company’s sustainability efforts. Balers compress paper, cardboard or other recyclables into blocks called bales, reducing the amount of storage space at customer sites. Vertical Balers – This type of unit is appropriate for small manufacturers and distribution facilities. Each vertical baler will produce from 3 tons per month of material to 20 tons. Closed Door – Manual Tie –This unit is the next size up from the vertical and will handle 50 tons per month. Open Door – Auto Tie – This is the largest baler we supply. These units are for large facilities that produce over 100 tons of material per month. Open Door – Auto Tie –This is the largest baler we supply. These units are for large facilities that produce over 100 tons of material per month. Compactors are used at high volume sites. Paper, cardboard and other recyclables can be loaded loose and the material is then compacted. Compactor units can hold up to 5 tons of fiber. Front-end loader bins are ideal for customers with space restrictions or those who generate a moderate amount of recyclable material. A front-end loader bin with an 8-yard capacity will hold from 500 lbs of cardboard or up to 1500 lbs of paper. Choppers help customers eliminate plastic and metal banding, thereby keeping it out of landfills. 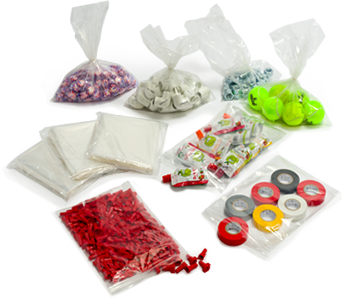 By chopping these materials into small pieces, these materials become more manageable and easily transportable. Choppers are available in many sizes and capacities. Closed Door – Manual Tie –This unit is the next size up from the vertical and will handle 50 tons per month.